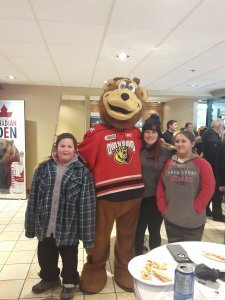 Big Brothers Big Sisters of Owen Sound celebrated the holidays with our Community 1:1 matches in the Attack Den this year. Lerners and Bertrand and Muzzell; the official Attack sponsors for this year; generously donated the space to our group for the evening. We got to hang out together, enjoy a hockey game, and share in all of the excitement that comes from our ‘Bigs’ and ‘Littles’ mentoring relationships.